In some ways there is very little point in reviewing a Peter Hamilton book. When it comes to his novels, people fall into three groups: those who have read him and love him, those who have read him and hate him, and those who have never read him. As there is little point in talking to the first two groups about his newest novel, A Night Without Stars, I will be addressing this to the last group. Where do I even start with Peter Hamilton? I guess a good place is to tell you he is one of my tier 1 authors; someone who everyone should read at some point. His books are extremely polarizing, but if you are lucky enough to find that you like one of his books, you will have opened a door into a plethora of novels that will rapidly rise to the top of your favorite book lists. Hamilton writes hard sci-fi novels, and I mean diamond hard. These are some of the most dense, most technical laden, slowest moving, books that you could easily beat someone to death with due to their size. I am completely serious when I say they make Malazan look like light reading. These tomes are not for a light reader and are not a book you can casually read at the beach. They are, however, completely worth every single second you put into them. Hamilton’s novels are dense because they are packed to the brim with imagination, insight, philosophy, characters, creativity, and world building the likes of which you have never seen. You will need to either know some physics, or have a desire to learn some, because he does not skip the science. Hamilton is a modern Asimov, using current technology and his imagination to create a future for humanity that both feels grounded in reality and defying imagination. His books take things like perpetual motion, wormholes, genetics, aliens, space travel, and a plethora of other classic sci-fi concepts and use them to flesh out the rise of humanity as a space faring race. These books are first and foremost about the evolution of civilization through scientific advancement. The density of the books come not from overly descriptive passages you might find in Jules Verne, but from Hamilton exploring every single minute ripple of impact a new invention would have in human society. The result is often a book that feel more like a history text from the future instead of a sci-fi novel. Then there are the books themselves. This piece is technically about A Night Without Stars, the second book in the Chronicle of the Fallers and the seventh book in The Commonwealth Saga. The saga is comprised of three series (one trilogy and two duologies) that all take place in the same universe with the same tech, though the sub series are placed hundreds of years apart. Each subseries handles very different crises in the story of human civilization in space and each shows that Hamilton’s imagination is without par. The Chronicle of the Fallers in particular is the story of a group of scientifically advanced humans who get trapped in a somewhat parallel world where their technology no longer works, but they are granted telekinesis instead. Trapped alongside them is a horrific race of aliens that consumes humans and takes their place, making life a little hard for our humans. It is a lot more complicated than that, but that’s the best I can do without devoting four paragraphs to it. The Chronicle of the Fallers can be read without the first two series, but I would not recommend it as you will appreciate the most recent books more. Without going into spoilers, A Night Without Stars (and the previous novel The Abyss Beyond Dreams) was impressive despite my high expectations for the book. For example, the novels contain some of the most genuinely unsettling situations I have ever encountered in sci-fi. Crafting upsetting challenges for his protagonist that will make the staunchest of reader shudder. Another key draw of Stars is the mystery of what is happening. One of my favorite qualities of Hamilton’s writing is that instead of just creating a mystery and solving it for you, he slowly gives you the tools to solve it yourself. It makes the final reveal much more satisfying, and increases your immersion greatly. A Night Without Stars has complex and strange characters that are also quite relatable. It will result in you questioning why you have so much in common with a psychic communist dictator who is trying to save his people from an external menace. Star’s technology is mind blowingly cool as is usual for Hamilton, with some incredible poignant scenes that I would do illegal things to get on a big screen. Finally, the last Chronicle of the Fallers book ties up a lot of loose ends and unanswered questions from the previous series (The Dreaming Void), which was appreciated. However, with all the good I have outlined there is also some less good. As with most 800 page monstrosities, I felt that the book could have paired down some of its text. Not every scene was pivotal to character or plotline development, and I felt like some characters were only introduced only to prove that not everyone is important. This is the second series that Hamilton has placed in “the void”, an event in the commonwealth storyline, and while he has certainly created a fresh and fantastic story that defied expectations, I also was getting a little tired of hearing about the void by the end. In the end, despite the book feeling like it could lose 50 pages or so, I don’t regret a single minute I spent in this book and will definitely read it again some day. It is astounding that Hamilton continues to pump out high quality books like A Night Without Stars regularly, and he has firmly cemented himself at the tops of my lists. Chronicle of the Fallers is an excellent duology for any sci-fi fan, and A Night Without Stars is a welcome addition to The Commonwealth Saga. The Quill to Live unconditionally recommends anything by Peter Hamilton. Today I am going to talk about something a little different. As I have mentioned before on this blog, I read a lot of books each year. Last year I read about 90 books (40 new releases and 50 older ones). Due to this, it actually matters a lot to my reading stamina to be careful about the order in which I read books. Reading fatigue is a real thing, and I try to make sure that I stagger books of different genre, topic, and quality to keep me from getting jaded. As such, there are a set of authors I keep in reserve as palate cleansers. These authors are my pinch hitters that I bring in when I know I need a book that is going to be good to get me out of a slump. Each of these authors has more than ten works to read and, while not every one their books is a 10/10, each of them can be depended on to be at least good. 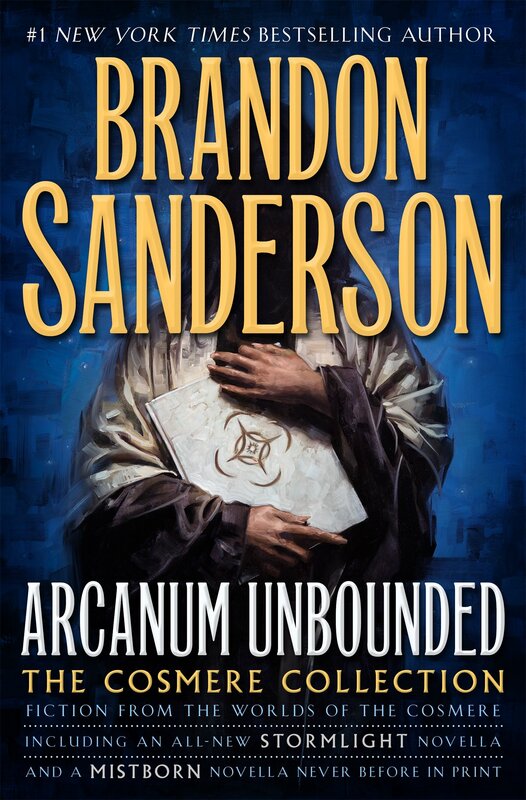 Brandon Sanderson – You all knew it was coming, let’s just get him out of the way; Sanderson. I think Sanderson’s weakest novel is Elantris, a book I have on my best standalone fiction list. With Sanderson you always know you are going to get an inventive new magic system, lovable characters with humorous dialogue, an exciting and interesting plot, and timely release dates. Sanderson is just the most dependable author out there, and I don’t even bother to read his book blurbs anymore. 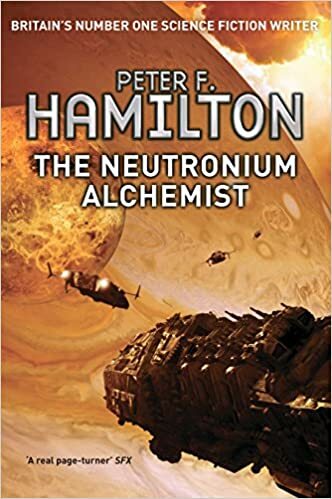 Peter Hamilton – A prolific science fiction writer who writes 1000 page books thick enough to be used as weapons. I find that Hamilton tends to inspire love/hate reactions to his work, but if you fall into the love category you will like everything he writes. He never ceases to amaze with new ideas and concepts that blow the mind. His books are always meticulously written, exploring every possible theoretical effect of things like inventing new technology on humanity. He is an expert in writing books that make science fiction worlds feel real, and despite being a slow read I have never regretted setting aside a month for one of his books. Guy Gavriel Kay – Do you want to cry? Because you will if you read any Guy Gavriel Kay book. Much like Hamilton, Kay is a writer who creates slow, moving masterpieces that take a while to complete. However, where Kay distinguishes himself is in the deep emotional impact that is in every single one of his books. I have never read a Kay novel that didn’t immerse me fully in the story, and every one of his stories have the ability to play your emotions like an instrument. If you ever need to get in touch with your sensitive side or want an emotional roller coaster, Kay can provide. China Miéville – Or sometimes you just really want something different. China Miéville’s work is so different from everyone else, that I often just categorize him as his own genre. However, while many authors sit in the realm of weird, Miéville is the only one I have read to never sacrifice quality in the pursuit of being different. Every Miéville book will transport you to an unrecognizable world with strange rules and people, but you will never feel lost or overwhelmed as he guides you through his perverse landscapes. If you want to try one of his books, just read the backs of a few and grab whatever catches your fancy – you will not be disappointed. David Gemmell – The worst part about these last two, is that the both tragically passed away and cannot grace the world with any more of their stunning work. While some of the authors above are my go to’s for long sweeping tales, Gemmell is the king of short and sweet. And while his books may be shorter, they sacrifice nothing in terms of quality. 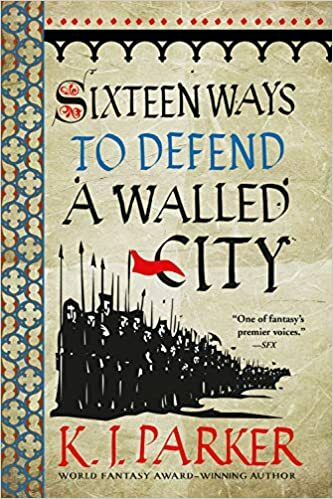 Gemmell is the king of classical fantasy, each book transporting me back to my childhood and the joy that came when you first heard someone describe a medieval battle. Gemmell’s writing is like a sword slash: simple, effective, and devastatingly powerful to those on the receiving end. His reimagining of the Odyssey and the Iliad turned books I could never penetrate into some of my favorite reads. His characters are some of the most memorable I have ever read, and I never regret taking a detour from my planned reading to spend a day or two in the Drenai Saga. Terry Pratchett – The one and only. Terry Pratchett’s work never ceases to amazing me. In many fantasy novels, there is a weird mysterious character that is strange but always seems to know everything. I think all of them are based on Pratchett. Every one of his books manage to be both so funny I can’t read them in a quiet library, and so wise that I feel like he and Confucius would have been peers. Pratchett has been teaching me lessons since I was a teenager, and I still think he is teaching me lessons as I read him in my late 20’s. His books can often have a eye opening or life changing effect on the reader who is wise enough to pick one up. I am sad every single time I look at my bookshelf that he is not around to continue sharing his wisdom.